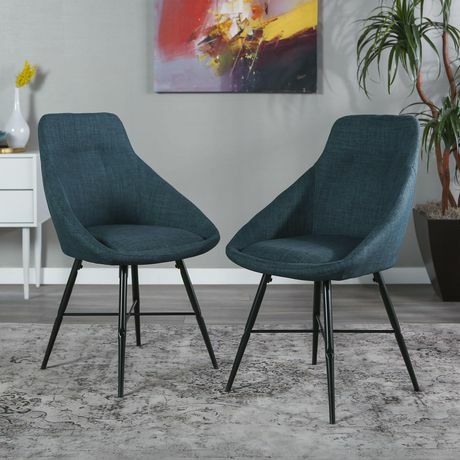 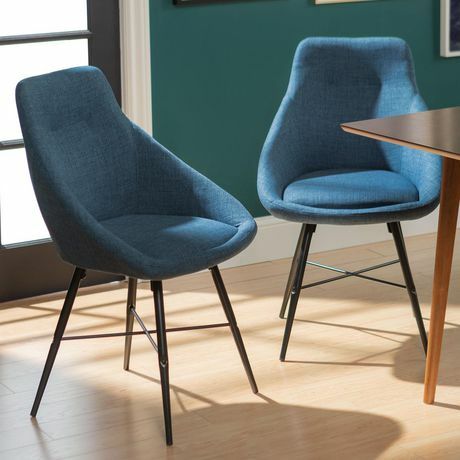 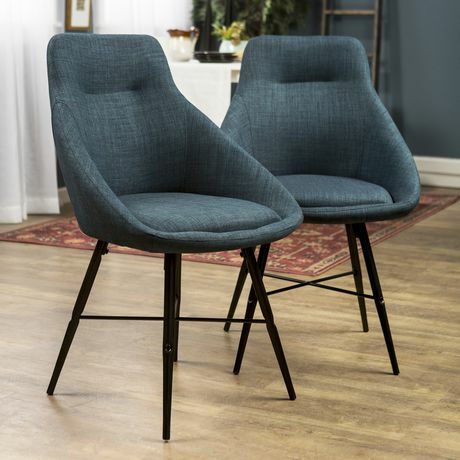 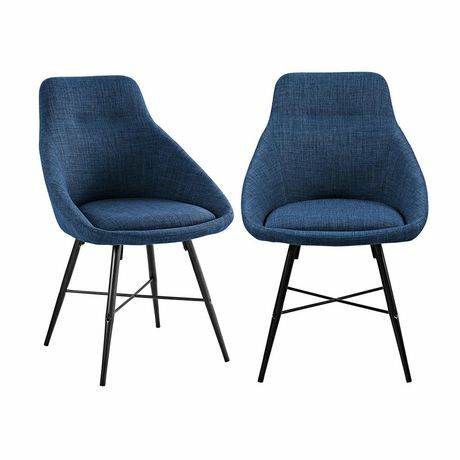 Give your dining room or home office a mid-century flair with these beautifully designed upholstered chairs. 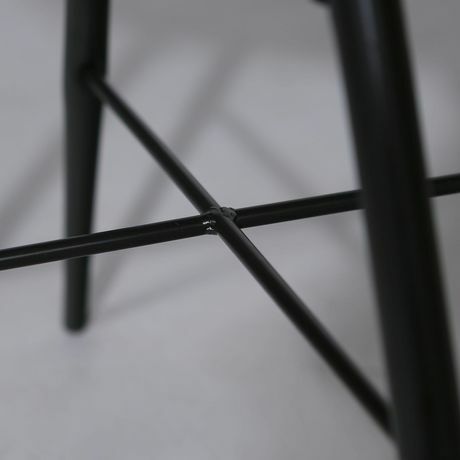 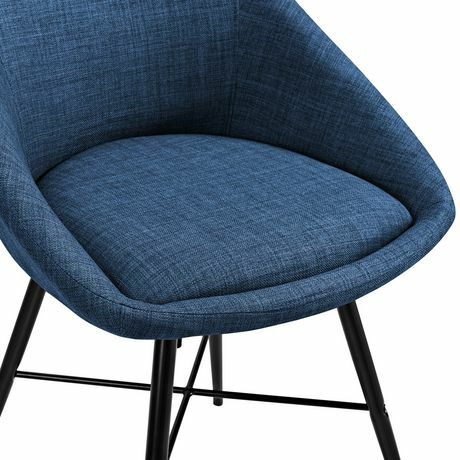 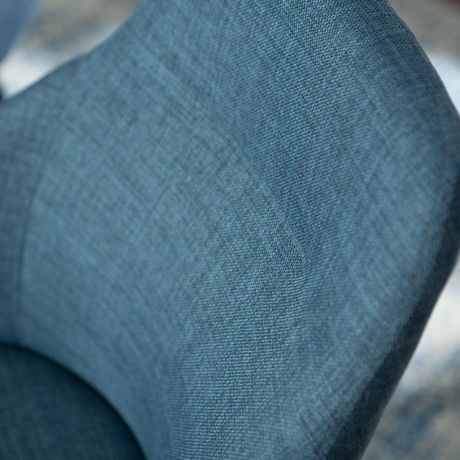 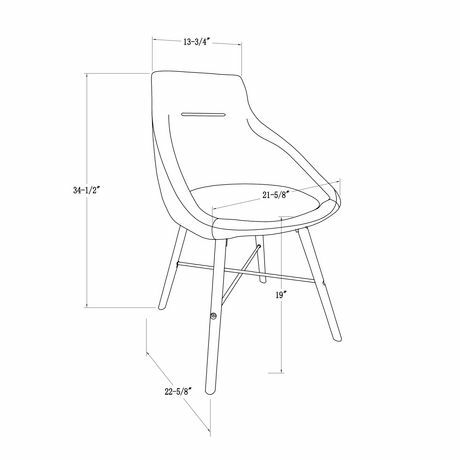 Featuring powder-coated metal legs for reliability and upholstered, curved seats with pillow to maximize comfort. Durably constructed with a unique modern style, they're sure to be favorites for years to come.